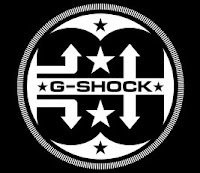 Casio G-Shock, an all time favourite of Thirdround Clothing, rocked the street since 1983﻿. It was born from a developer's dream of "creating a watch that never breaks" where watches in the old days were commonly believed to be breakable items, and Casio G-Shock's development represented a challenge to common sense. The toughness, technology design and the characteristics and attitute Casio G-Shock carries made it evolve and grow over the years carrying on the toughness of spirit and uncompromising passion. In the eyes of Thirdround Clothing, Casio G-Shock is not merely a watch, but a spirit we carry everywhere we go, something reminding us to persist with our passion. 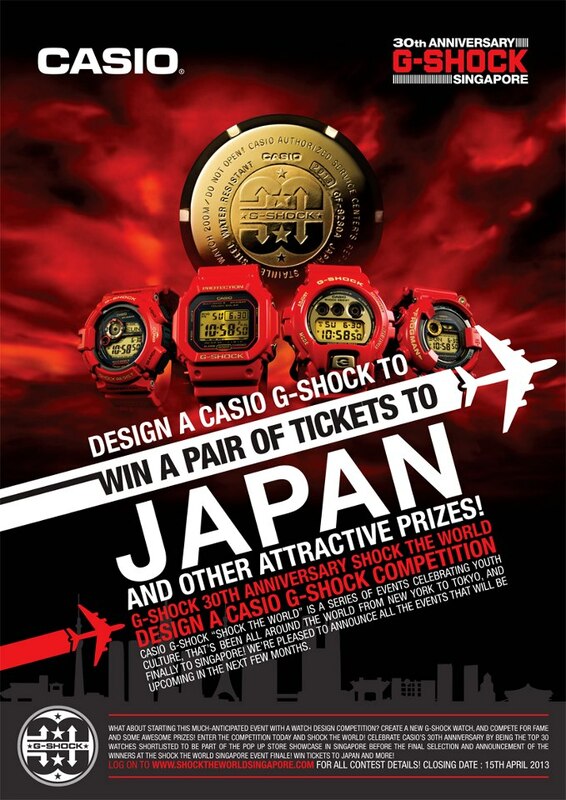 Thirdround Clothing is here to share an exciting news to all of you that G-Shock's shock the world tour has now arrived in Singapore, and everyone of us stand a chance to design a Casio G-Shock that reflect the brand's identity of real toughness by participating in the Shock The World Tour Design Competition. 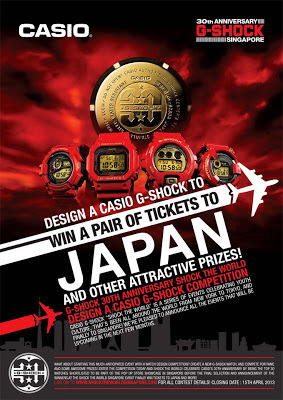 Click on this Shock The World Tour link to see what the attractive prizes are, and show your love to Casio G-Shock by participating in this design competition where you could be one of the winners. Simply download the template via Shock The World Tour Design Competition website and send in your design with your details by 15th of April 2013. Thirdround Clothing will be sending in our design shortly as well to show our love to Casio G-Shock, and we really hope that there will be great number of participants participating in this design competition to make the event as grand as possible and lighten up the street culture and street scene in Singapore. Peace! P.S. : For full product line up of Thirdround Clothing, visit www.thirdroundclothing.com or email info@thirdroundclothing.com. The official retailer of Subcrew React, Akomplice and Outerspace.